Shouting Hard - waving my arms! Note: This is the second part of a tutorial, read first part one in case you haven’t. While messing with this issue, I noticed a particular thing over the coordinates set. 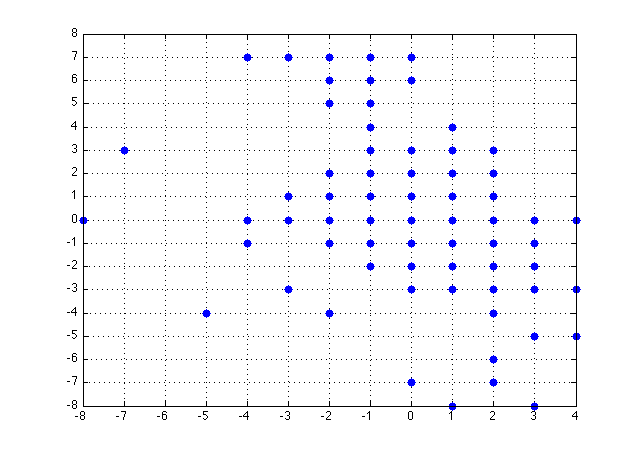 Check the following data plot, they’re all the coordinates scattered in a X/Y plane. 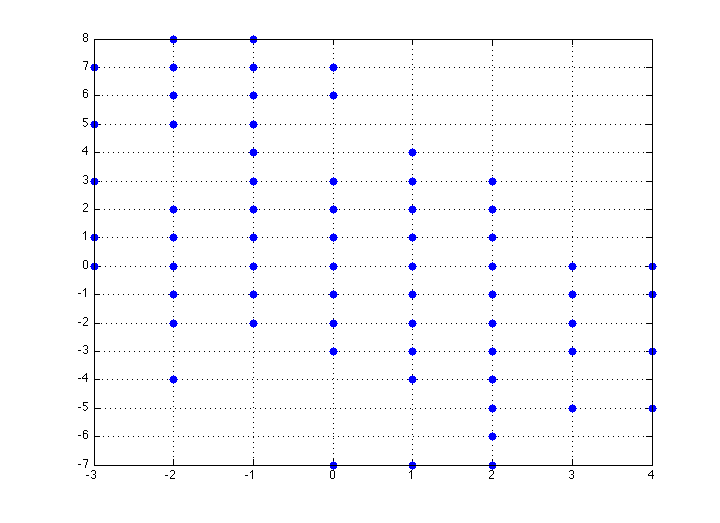 The majority of them are in the [-3, 4] range for the X axis and [-7, 8] range for the Y axis. There are only 8 deltas out of those ranges. To store the X coords, only 3 bits are needed [0, 7], or [-3, 4] subtracting 3 to the limits. 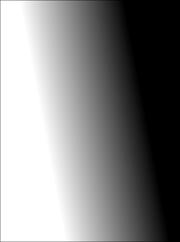 For the Y coords, 4 bits are needed [0, 15], or [-7, 8] applying the same rule. 7 bits in total, storing all of them in simple 7-bit chars was achievable. With the editor in place, the data manipulation went very fast. Tweaking out of range coordinates and changing the starting point of several glyphs to fix the kerning problems were easy tasks. The dataset was already inside the 7-bit storing ranges. Still around 500 coords, equal 500 chars for the whole font set. 100 bytes saving achievement. Looking into the glyph shapes, is easy to notice lot of the glyphs segments are repeated between several of them. For example, the chars ‘f’, ‘h’, ‘k’ and ‘l’ shares the same upper part, the same happens with the bottom of ‘f’, ‘g’, ‘j’, ‘y’ and ‘z’. When these segments are stored only once, the code can draw them from callings on different places of the dataset. The only thing I need is a way of storing this “segment calls” inside the data. If you look into the plot before, there is a big empty area with no coords usage below the -3 value in the X axis. This means the glyphs are not using any of the [-3,-1] to [-3, -7] points. I was able to use this points to store up to 7 different segment calls, the drawing code will draw the complete segment when finding any of this point in the drawing loop. That’s the complete dataset, 246 (there are characters not appearing because they’re on the lower part of the ASCII table, escape ones and so on). The segments appears in different color. First one is the red one, used 7 times. Second is the green, 4 times. Third the black, five. Next the orange one, six times. Gray one 7 times. Yellow and violet are the ones least used, only 3 times. 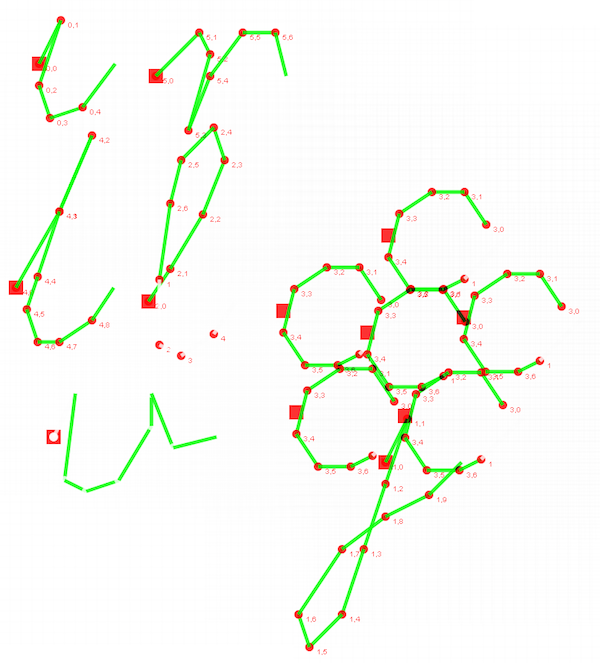 All the blue lines are the data not belonging to segments, needed to complete the glyphs. Once the compression was finished, I got enough space available to program the code for the rendering and the notebook styles. The code to do the font rendering is very simple, all the chars are translated to the delta coords needed in a sequence array (Z), considering the segment calls. Then a loop is getting values from the array and drawing using the canvas lineTo method until the array is empty. There are several special cases controlled in the code, like pushing keys out of the [A..Z] range or the dots for ‘i’ and ‘j’ glyphs. During all the developing time, I was in touch with my good friend Javier Guerrero (aka Infern0). He was testing and checking for bugs, and at the same time giving me feedback on improvements or better look styles. To fit into the contest topic “spring”, a hand-written flower can’t be better election. I sent to Javi all segments used in the compression stage, he came back to me very fast with a proposal. Just lot of ‘c’ segments and the lower part segment from the ‘j’. 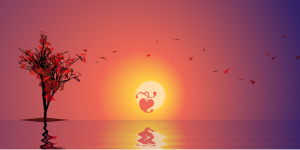 Special cases were added to the rendering loop to move the drawing coordinates and make the correct jumps for drawing the segments in the flower shape. That is the complete explanation of the released prod. In the next chapter, what didn’t make it. A nice paper texture code generated which couldn’t fit in the 1024 bytes size. 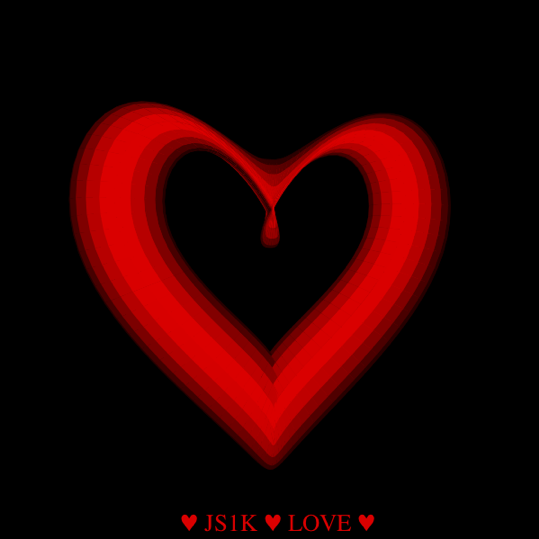 Everything started just after JS1k 2012, “Love”. I was making some experiments with the possibility to implement a full parametric vector-font in canvas. The first approach was a very basic font face, made with straight vectors. Write in the input field to update the font rendering. The encoding of this font was only 161 chars in total, including the string declaration with the split(0) to make it as array of strings. The code to draw the characters from the data is very simple. Loop through all the chars encoded, drawing lines from point to point decoded. There are four special cases, for chars i,j,t and f. The code draws an additional line for those ones to finish the drawing. With this experiment was clear the method got possibilities. Total code size was much lower than 1024, so why not try it with a more complex font face? Once JS1k 2013 was announced, I came back to the experiments and tried to make something to submit. More or less at the same time, Jari Komppa released the demo Litterae Finis, where some scripting fonts appeared in text mode. He made a breakdown, explaining the secret fonts used, the Hershey fonts. The font collection was developed in 1967 by Dr. A. V. Hershey. The original data format is really cryptic, fortunately Jari developed a decoder and made it available to the public. The script face was perfect for the task, a handwriting font with a single vector trace. Next steps to continue compressing the data are to split the array in two (x and y coordinates separated) and apply a delta difference between consecutive coordinates. The drawing algorithm will make a cumulative sum to generate the next coordinate. The first coordinate of every glyph is always a jump to the drawing starting point. 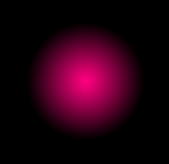 This is controlled by the drawing algorithm with an special case coded for the first coordinates. 300 unicode chars, this means 600 bytes. Still too big, it was clear further compression techniques were needed. In the following animated drawing of every glyph, details as the initial kerning jump and single-trace style of the font are shown. Check the jump to the right made at the beginning by characters “a”, “c” or “g”. This is also happening with “f”, “j” and “p”, braking the continuous kerning of the font. In these cases, glyph coordinates were modified by hand to fix it. How to reach the 1024 bytes target with further compression techniques and many more things implemented in this demo, in the next chapter. Thanks for reading! These are not “good programming” habits but totally opposite. A single place where to find golfing techniques detailed, only that. Check it here. Realtime 3D polygon rendering with flat shading. 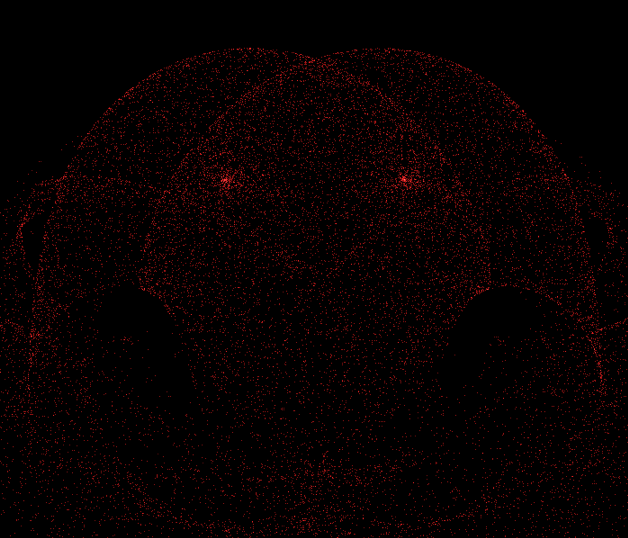 The mesh is math generated, animation runs fluid in Chrome. 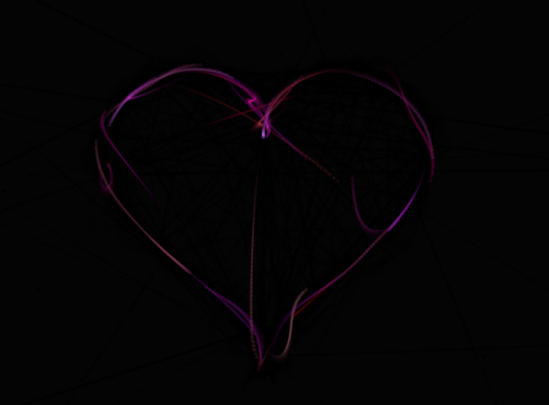 Very nice 2D particle trials animation using the heart equation. 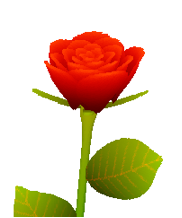 Montecarlo sampling of surface equations tuned until reaching the rose shapes shown. Check also previous static version here and how is made on his blog also. Particles simulating liquid behavior by Lagrangian method in 3D, i will explain how is made in another post. 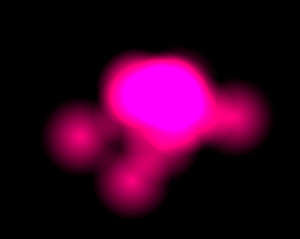 Really great particle simulation with repelling and attractors fields. Speed optimized for high particle quantity. Do not forget to check full power experiment. Random trials of the heart “character” (font rendering). 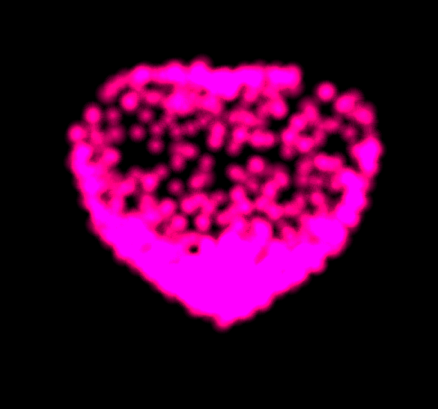 Heart shape generation by color matching to the heart equation. Good idea and pretty result! 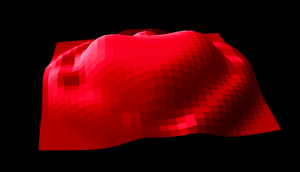 Wave 3D simulation by the array propagation trick. 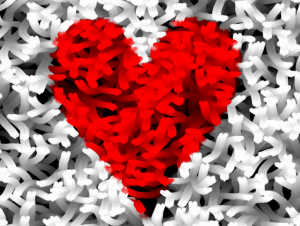 Heart surface equation as init mesh state. Wonderful! Hybrid and Electric vehicles, by design, introduce many new electronic components into the bill of materials and account for up to 30% of the vehicles total cost. Years ago, Toyota was the only manufacturer with a hybrid car in mass production, but Toyota’s policy of integrating the supply chain into their own structure and utilizing only local factories made it impossible to develop sub-suppliers specializing in these new components. 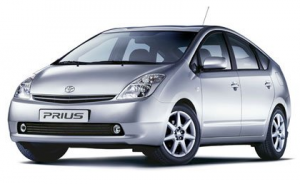 In 2011, all car manufacturers have one or several projects based on HEV technology. This requires the development of a complete supply chain focused on these new key elements for electric power. Batteries, from the beginning, received the majority of attention and focus since they represent the single largest cost in these new power trains. Alliances and joint ventures have been created between car manufacturers and standard battery manufacturers with targets of lowering costs, reducing weights and improving energy output. All battery manufacturers are looking closely at the innovations, patent applications and movements of their competitors. The companies who are quick to market with any advantages or improvements in battery technology and performance will see greater profits – a very hard challenge for an industry that has suffered from a lack of innovation for more than 20 years. A full electric car has a bill of materials with an average of one third of the number of components than a gasoline or diesel powered automobile. The number of components required for the power train, by itself, is reduced to the battery, electric motor, charger and power converter. The main costs and margins are now focused on the battery and the electric motor set rather than in the internal combustion engine. Automotive companies are getting involved in developing these key elements on their own as a key strategy to control and keep in house these larger value-added components. Tier 1 suppliers are looking for other elements in the powertrain to realize profits and these include the power converters and battery chargers. 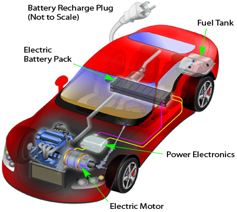 These elements transfer the energy in the powertrain from the battery to the motor, charge the battery and generate the low voltage power network to feed the car’s electronic systems (lights, entertainment system, heating, etc.). The basic technology used in these power converters is very well known as, in large part, the converters are switched mode power supplies with small form factors and high efficiencies. High efficiency power supplies have been developed for many years for use in other markets including UPS systems, solar panel generators, wind power energy and industrial motor drives. Companies producing converters for these applications, including Eaton and Bosch, can become new Tier 1 suppliers for these HEV platforms. Their challenges will be in having to design and manufacture the converters for onboard installation and to be qualified for use in automobiles. In the same way, electronic Tier 1 suppliers for gas and diesel powered automobiles are already transforming themselves to develop and manufacture power converters and battery chargers. Lear, Valeo, Delphi and Continental are excellent examples of these Tier 1 suppliers and each now have converters and battery chargers in their product portfolios and many will be in new HEV cars to be launched in the coming years. Key electronic components used in these new HEV power assemblies are commonly utilized in the industrial markets and include high power switching semiconductors, high energy capacitors and high power transformers and inductors. In the automotive marketplace, electrical and mechanical constraints are dictated by the size and volume available for the assembly, cost targets and required efficiency ratings. Component manufacturers (Tier 2) have to adapt their business models to meet the demands of this new potential market. The heart of the component technology is already well known and in use in industrial applications but the new requirements of HEV make it necessary for a complete reinventing of these components. Infineon and Semikron are two power management IC manufacturers who have focused on the HEV market for the last four plus years. Both have launched automotive qualified semiconductors ready for integration into HEV converters and have dedicated departments to support car manufacturers and to develop R&D kits and application notes for their MOSFETS/IGBT’s. Their target is clear: to make completely off-the-shelf parts available and to reduce the overall costs of their automotive customers. In addition to the active components used in the converter, there are many required passive components that have been the focus of Tier 2 suppliers. One such classification is inductive components including power transformers, power chokes, current sensors, EMI filters and auxiliary signal transformers. These types of components are commonly used in industrial applications but have never been before installed in automobiles. PREMO is a Tier 2 inductive component manufacturer that has experienced a major transformation in their business model due to this evolution. Four years ago, Premo anticipated the future needs of the automobile market for these types of components. Over this four year period, Premo’s know-how, expertise and inductive components portfolio for industrial applications has led them to be able to deliver standard, agency-qualified solutions for automotive customers. Onboard battery chargers for plug-in vehicles introduce a new technology challenge for these companies. 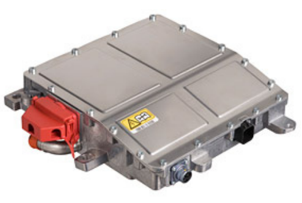 The charger connects the automobile to the domestic power network, merging the requirements of the industrial world with the automotive world. The charger must comply with all EMC requirements from these industrial standards while, at the same time, fulfilling the lifespan, environmental, robustness and safety requirements of the automotive market. 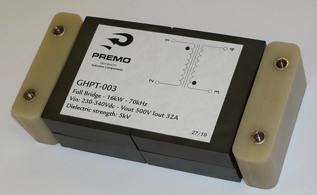 PREMO is the first Tier 2 component manufacturer to make available to the HEV market a complete off-the-shelf EMC Filter for battery chargers with complete AECQ-200 qualification. 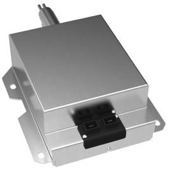 This filter is delivered in a single aluminum box with connectors, simplifying the assembly operation for the charger manufacturer. Opportunities are in the air. Even with the conservative numbers the automobile manufacturers are predicting for HEV unit sales in future years, the component suppliers will need to initiate a complete conversion and re-tooling of their factories to reach the capacity and output that will be required to support these programs. The production of several hundred thousand EMC Filters of the type required for battery chargers is not a simple task and no manufacturer has ever built one previously with the productivity and automation level required by the automotive market. This is a very big challenge for component companies who may be used to having a high operator workforce for their industrial customers. Bueno, ya llevo aquí 3 semanas y me ha pasado de todo. 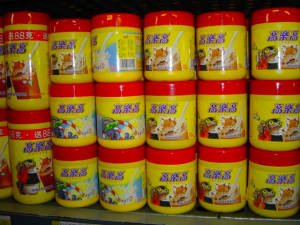 La verdad es que China es un país muy grande, aquí todo está muy lejos. Trabajo en Wuxi, una ciudad de cuatro millones y medio de habitantes cerca de Shanghai. Cerca significa 2 horas en coche si pillas bien la autovía. La contaminación aquí es brutal. El desarrollo que están llevando a cabo los chinos en infraestructuras e industria lleva una velocidad vertiginosa. Esto hace que no tengan cuidado a la hora de quitar la mierda. Aquí todos los ríos y lagos son marrones, las desembocaduras siguen marrones hasta bien entrado el mar y el cielo siempre está con esa neblina que no deja ver el sol. Cuando vas en coche y te aproximas a una ciudad grande, la nube marrón que flota sobre ella es apreciable a simple vista. Si llueve la lluvia es mierda literal, no barro ni agua sucia, es mierda. La contrapartida es que tienen una industria de fabricación que crece y crece sin parar. Vas por la autovía y los anuncios en las vallas publicitarias son de rodamientos, cilindros, tornillos, etc. En la estación de trenes de Shanghai, al bajar del vagón no hay anuncios de colonias, ropa o coches. Hay anuncios de máquina herramienta, de proveedores de acero y de fresadoras. El tráfico en Wuxi y en China en general es totalmente caótico. Mi carné de conducir español no sirve aquí, pero aun si sirviera no podría conducir. Tendría un accidente el primer día. Los semáforos están en el otro lado del cruce, la preferencia no sigue la normativa de las señales o los semáforos. La norma es la siguiente: camión gigante, camión pequeño, taxi pijo, taxi Santana 2000, coche, moto, bici, chino. En ese orden. Si un camión entra en el cruce y un taxi está cruzando, pito al canto y el taxi se para. Si un chino cruza un paso de cebra y viene un Santana con un cliente, a joderse tocan y la pelas en medio de la carretera si tiene ocho carriles. Fijaos que al extranjero ni lo he nombrado, así que os podéis imaginar lo que hay que liar para cruzar una avenida de las que hay por aquí. Y el chino venga a decir chineces que nos íbamos para el otro hotel. Aquí los semáforos en vez de un circulo grande verde o rojo tienen el tiempo, como los marcadores de posesión del baloncesto pero de colores. Quedaban ya un par de segundos para que arrancara y yo veía que el chino seguía con la intención de salir hacía el sitio contrario. 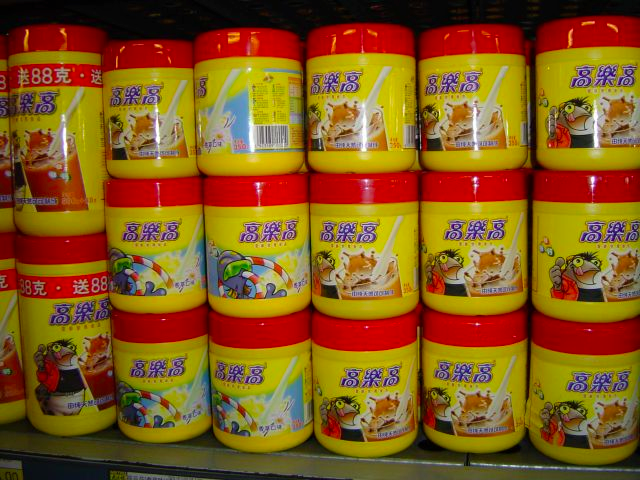 Pu hao es muy malo en chino y tin tin es para el coche. Le metí un buen meco y el cabrón empezó a reirse, tin tin tin cabrón, para que nos bajamos que nos mandas a tomar por culo. Al final se paró le pedí la puta fapiao (factura) y nos fuimos al Chélaton de los cojones andando. Hola de nuevo. Esto se puede llamar la vuelta de Necoblog, o la vuelta de Neco a esto de escribir. Aquí pondré posts del antiguo blog, quizás retocados o extendidos, según me de. Además de los nuevos que vayan surgiendo. Los que estéis buscando el dominio antiguo, olvidadlo, está squateado. Ahora apareceré por este, que quienes me conozcan entenderán bien. Un saludo y feliz Navidad.